Designed to be installed into the fabric of the property, visible only by way of the port vent, Amina subwoofers offer smooth low frequency extension with minimal visual impact. 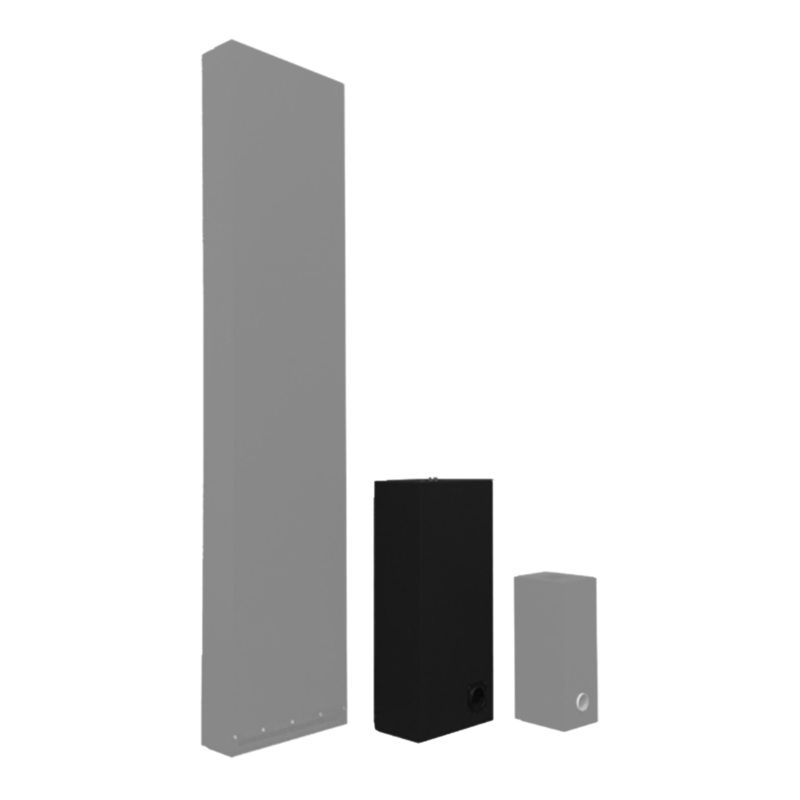 With bass performance that can add warmth or shake a room when needed, the range of passive subwoofers compliment the range of Amina VPT loudspeakers to help deliver a breathtaking full bandwidth experience. 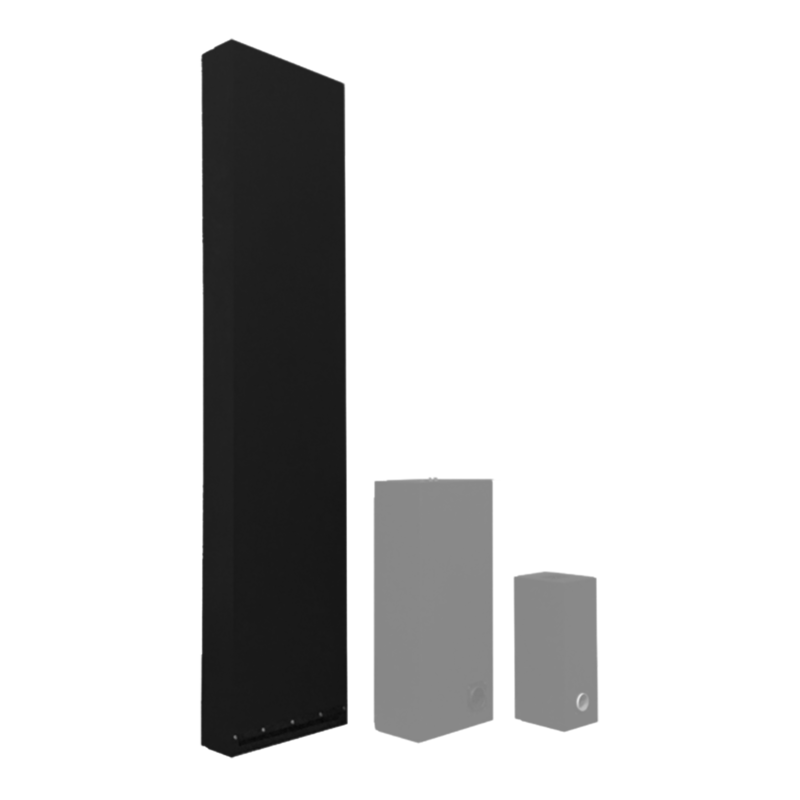 The passive subwoofer that can play the loudest and lowest whilst remaining easy to install into a wall or ceiling. Using a Distributed Transmission Line design using an array of 4″ drivers, the ALF120 packs a punch whilst staying incredibly slim. At only 118mm thin and 345mm wide, it is designed to fit into a cavity wall or ceiling. Requiring a DSP amplifier (or suitable system processor), the ALF120 can play down to 27Hz at 111dB at 1m from just 50W. This makes the subwoofer perfect for great music systems but also media rooms and home theatres. Whilst subwoofers and bass enhancers have been designed to fit into a wall or ceiling, another great installation option is to build them into cabinetry or even have them sat in-room. A subwoofer could port through kick-boards in a kitchen, or from under a sofa or bed. 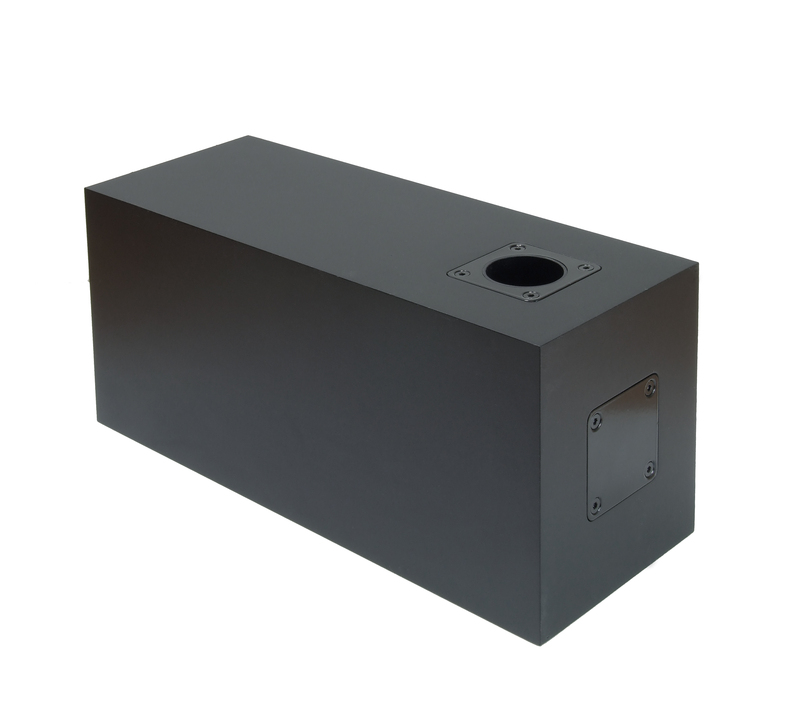 As long as airflow is not impeded, the subwoofer vent can be easily disguised. Designed to be fitted into a cavity wall with 16″ spaced studs (on centre), the ALF120 is mounted using felt pads which not only hold it securely in place, but also mechanically decouple the cabinet from the structure of the property, allowing all sound energy to be effortlessly ported directly into the room and not into the rest of the structure. 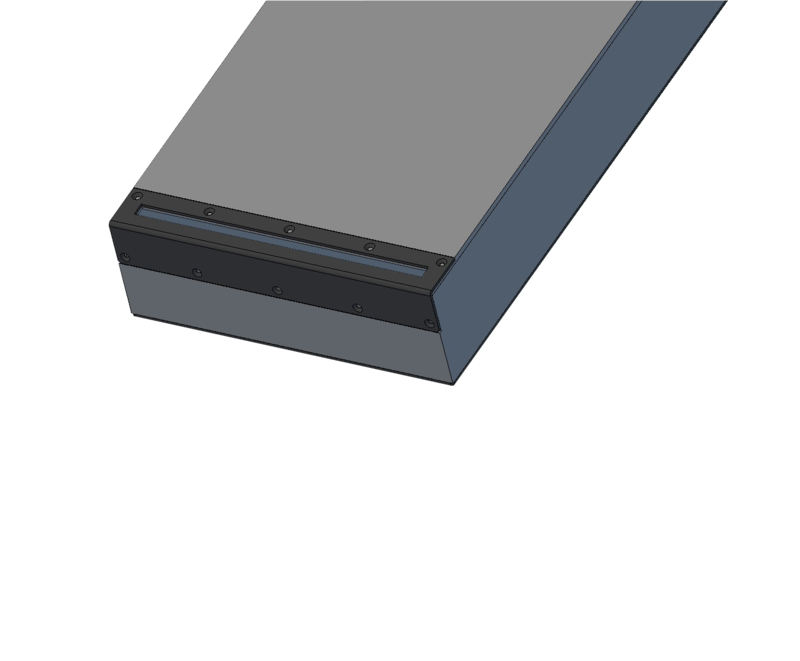 It is also possible to install into a ceiling void or into furniture if this helps to further remove the slotted vent from the eye-line of the listener. 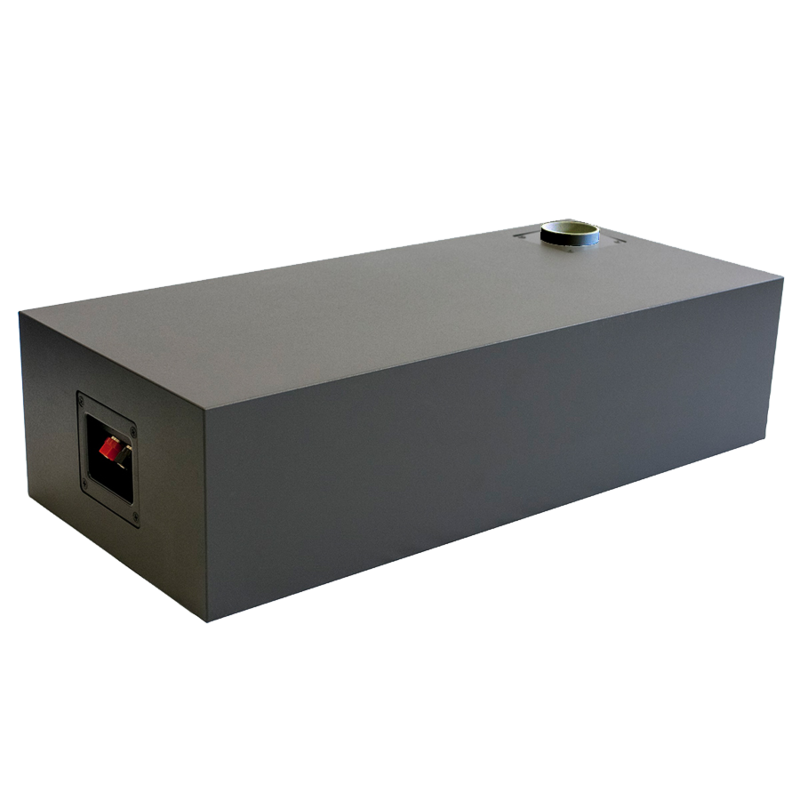 Being a passive subwoofer, the ALF120 requires external amplification, however due to the Distributed Transmission Line design using 4″ drivers, it requires DSP to maximise performance and ensure it continues to perform for a lifetime. Either requiring a dedicated DSP amplifier or a system processor and ‘dumb’ amplifier combination, the requirement is for 3 bands of parametric EQ, 48dB/Octave bandpass filtering and absolute voltage limiting. For information on a suitable amplifier or processor, please contact your distributor. Failure to use adequate DSP protection may result in warranty becoming void. The mid-range passive subwoofer that can add great depth to music, film and television whilst remaining easy to install into a ceiling or into cabinetry. 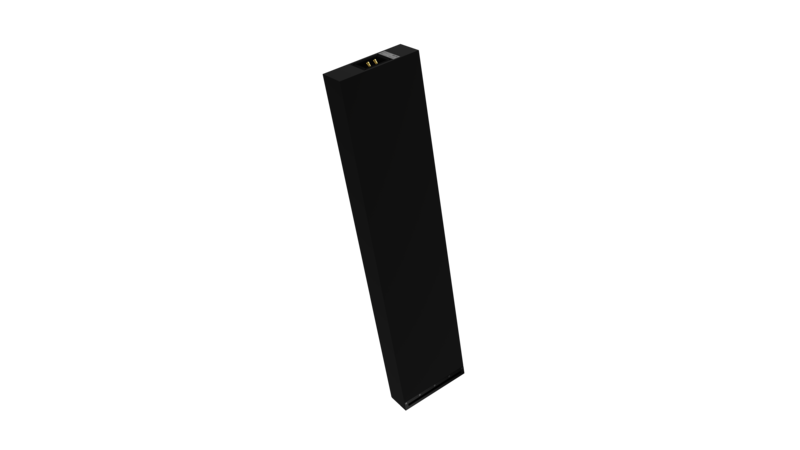 Using a 4th order bandpass design, the ALF80 can play at high level and with great depth whilst only having a small circular visible vent into the room. Built in filtering and protection circuits mean that the ALF80 can be powered from a 150W amplifier delivering full-bandwidth content. 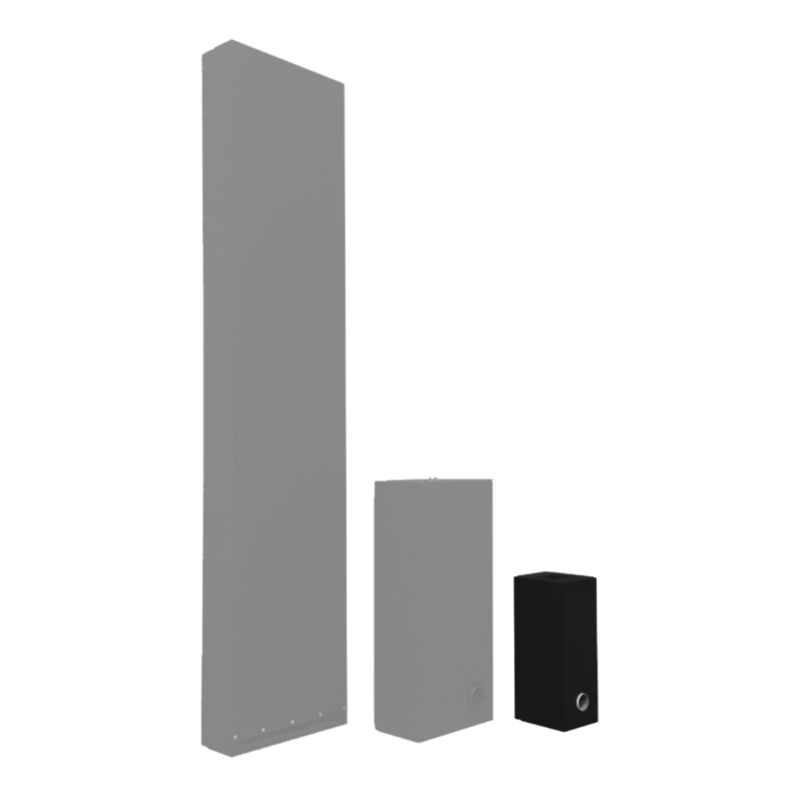 ALF80 and ALF40 subwoofers have built in protection and filtering meaning that a full-bandwidth amplified signal can be supplied to the subwoofer, allowing it to perfectly integrate with Amina VPT panel loudspeakers. ALF80 can be mounted directly to stud frame using the supplied metal mounting L-brackets. Port tube can be relocated to one of 3 port-opening positions and can have it’s length adjusted to perfectly match the depth of the ceiling void (maximum adjustment 100mm). Port tube can be adjusted, but should never be replaced, bent, extended or blocked. Doing so will impact the performance of the subwoofer. Being a passive unit, the ALF80 requires external amplification. Given that both protection and filtering are both built in to the subwoofer itself, the unit can be powered by a 150W amplifier delivering full-bandwidth content. The ALF80 can be powered by its own dedicated amplifier channel, alternatively it may be wired in parallel to a single Amina VPT loudspeaker panel. Please take care to match total impedance load to the amplifier when wiring subwoofers and speakers in parallel. It is not wise to wire two subwoofers in parallel to each other, however it is possible to wire a 4 Ohm subwoofer in parallel to a 4 Ohm loudspeaker panel without affecting overall load that the amplifier will see. For example, the ALF80 can be wired in parallel to a Mobius5 and still appear as a 4 Ohm total load. The entry-level passive bass-enhancer that can add warmth to music and television whilst remaining easy to install into a ceiling or into cabinetry. Using a 4th order bandpass design, the ALF40 can play at medium level whilst only having a small circular visible vent into the room. Built in filtering and protection circuits mean that the ALF40 can be powered from a 60W amplifier delivering full-bandwidth content. All Amina subwoofers and bass enhancers can have their port location adjusted, giving great installation flexibility. The ability to adjust port location allows the unit to be installed in with an appropriate cabinet orientation to suit construction restraints. ALF40 and ALF120 have two port location options (end and front-fire), ALF80 has three port location options (end, side and front-fire). ALF40 can be mounted directly to stud frame using the supplied metal mounting L-brackets. Port tube can be relocated to one of 2 port-opening positions and can have it’s length adjusted to perfectly match the depth of the ceiling void (maximum adjustment 80mm). Being a passive unit, the ALF40 requires external amplification. Given that both protection and filtering are both built in to the subwoofer itself, the unit can be powered by a 60W amplifier delivering full-bandwidth content. The ALF40 can be powered by its own dedicated amplifier channel, alternatively it may be wired in parallel to a single Amina VPT loudspeaker panel. Please take care to match total impedance load to the amplifier when wiring subwoofers and speakers in parallel. It is not wise to wire two subwoofers in parallel to each other, however it is possible to wire an 8 Ohm subwoofer in parallel to an 8 Ohm loudspeaker panel without affecting overall load that the amplifier will see. For example, the ALF40 can be wired in parallel to an iQ3 and still appear as an 8 Ohm total load.